If Harvard made admissions decisions based only on applicants’ academic qualifications, more than 51 percent of the average admitted class would be Asian-American, according to court documents filed by an anti-affirmative action group Friday. 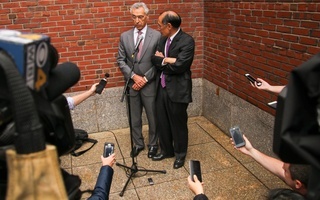 The filings, submitted by Students for Fair Admissions, mark the latest development in a lawsuit the group brought against Harvard in Nov. 2014 alleging the school’s admissions process discriminates against Asian Americans. 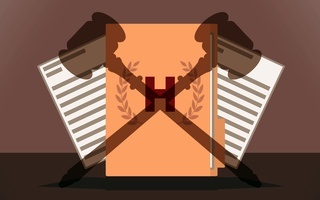 The documents reveal previously unknown details of the College’s secretive admissions system. SFFA’s filings include the findings of Duke Professor of Economics Peter S. Arcidiacono, who analyzed students’ racial makeup in each academic decile to conclude the number of Asian-American admits to the College would “increase significantly” if Harvard’s admissions officers considered only took standardized test scores and high school grades. SFFA’s documents also state Asian-American applicants typically garner higher academic and extracurricular ratings than do candidates of other races. 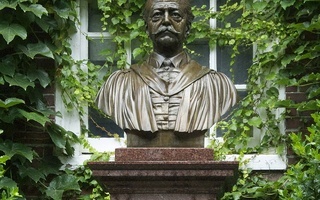 Harvard’s own filings assert applicants must have more than purely academic qualifications to gain admission to the College. “To be admitted to Harvard, applicants must have multiple areas of strength in addition to being academically qualified,” the filings read. 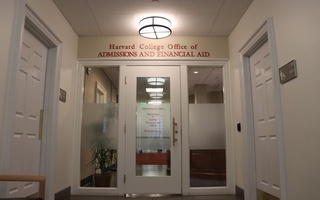 Harvard hopefuls are assigned ratings from 1 to 6 in approximately 14 categories including academic achievement, extracurricular involvement, athletic prowess, strength of character, up to four teacher recommendations, counselor recommendations, a “personal” and “overall” rating by staff, and a “personal” and “overall” rating by an alumnus, according to documents filed by SFFA. A “1” represents the highest score an applicant can receive; “6” marks the lowest. Admissions officers can use a plus to indicate that an applicant is slightly stronger than the numerical score they receive, while a minus denotes the opposite. Sixty percent of Asian-American applicants garner academic ratings higher than 3+, compared to 45 percent of white applicants, according to SFFA’s filings. Twenty-eight percent of Asian-American Harvard hopefuls receive a 2 or higher on their extracurricular rating, compared to 24 percent of white candidates. And Asian-Americans boast the lowest fraction of applicants that receive an overall rating worse than 3. “The share of Asian Americans who receive a 2 or better in the overall rating is lower than that of both white and African-American applicants,” SFFA filings state. Nonetheless, the admissions rate for white applicants is 3.5 percentage points higher than that for Asian-American applicants, according to SFFA documents. Arcidiacono concluded that “Asian-American applicants suffer a statistically significant penalty relative to white applicants” in the personal and overall ratings. The two experts’ disagreement stems from the different models they used to calculate the likelihood that Asian-American applicants will be admitted to the College. Card included legacy students and athletes in his model; Arcidiacono did not. The University first unearthed data indicating Asian-American applicants tend to earn comparatively higher academic rankings several years ago. A 2013 internal Harvard report found Asian American applicants performed significantly better on test scores, academics, and overall scores from alumni interviews. Of 10 total characteristics, white students performed significantly better in only one—rankings of personal qualities assigned by the Admissions Office. “Admissions officers do not take race into account when assigning the personal rating” or academic, extracurricular, and athletic scores, according to the document submitted by the University. The document further asserts race is not a determining factor in the admissions process. 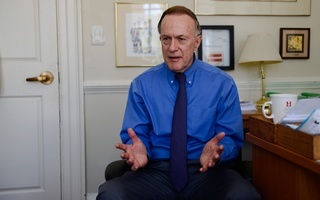 Harvard’s filings do not present different admissions data from SFFA’s; however, experts representing each side have offered dueling opinions as to whether past data evinces a pattern of discrimination. “Race alone does not determine whether or not an applicant is admitted, and numerous other characteristics of applicants are much better predictors of Harvard’s admissions decisions,” Harvard’s filings read. Even though Friday’s filings produced some previously unknown statistics about Harvard admissions, the vast majority of admissions data will remain confidential unless the lawsuit goes to trial. Both Harvard and SFFA hope to convince the judge to throw out the case before it goes to trial, though experts—and the judge herself—have said this outcome is unlikely.